Shown above is a line of any length and a point P on the end of the line. The point P can also be on the other side of the line. The line can also be at any angle for this principle to work. The reason that this method works is because by taking the distance PA as the radius means that the distance from CB is the diameter of the circle. We already know that if a triangle has one side as the diameter and the third vertex anywhere on the circumference of the circle, then the triangle will always be a right-angled triangle. 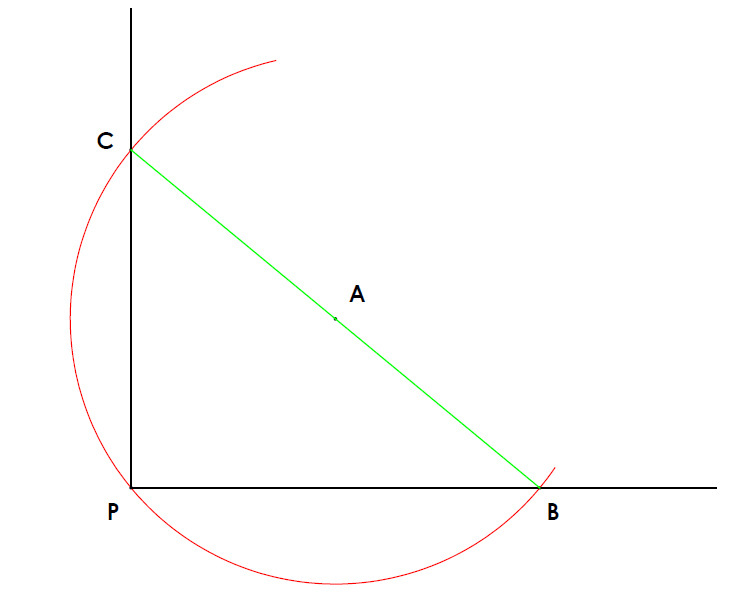 Therefore line PC is perpendicular to line PB as required. Click the link below to see this explained in more detail.